I know I am a ‘happy person’ like the smiling characters decorating your average bag of sour patch kids, not quite like the kid gracing the ‘kinder’ chocolate egg but you get the point. There are plenty of places and things I don’t like, but if I chose to rant about that – I’d just go on a TripAdvisor forum or facebook group like everyone else. 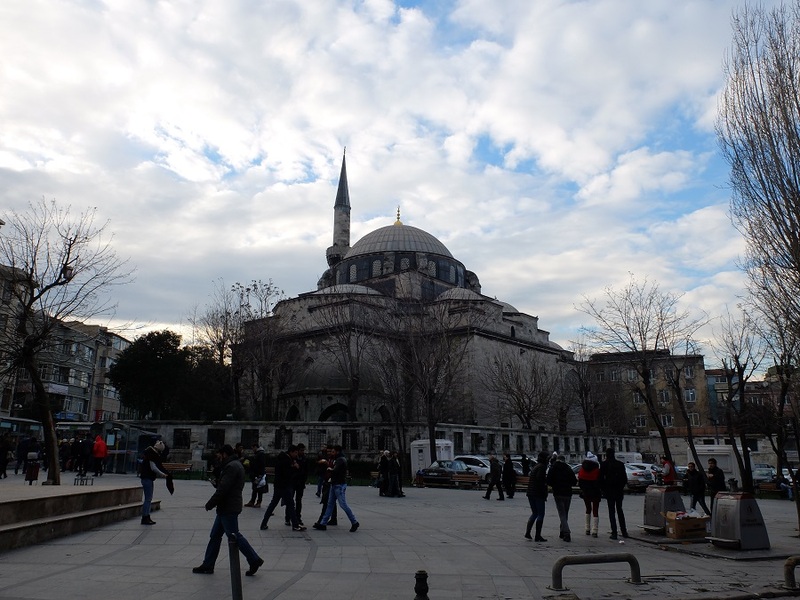 But one thing that melted my heart like the kit kat bar I once left under Nico’s dashboard (sorry) – was the city of Istanbul, Turkey which I will be featuring on several posts in the blog, welcome to post one. 2014 was such an incredible year or travel, it felt like every third Friday we were hopping on a plane, sighing while trying to constantly put my winter boots off and on again. Or in the car visiting some new city, part of the fun was stopping at random, often quirky ‘autogrills’ to sneakily turn on all of the singing toys and buy 2 kilos of chocolate. However, When Nico first suggested that we visit Istanbul, I wrote it off as ‘too far’, not to mention a place I actually needed a ‘visa’ to visit. Thankfully sense took hold and we booked our tickets from Toulouse, France (near where we were holed up for Christmas) to Istanbul in late December for an entire week. I booked my ‘e-visa’ faster than you can say Merhaba (that’s Turkish for Hello). Naturally I overpacked, stuffing three year’s worth of tights, extra scarves and shirts I would never wear in the hopes that Istanbul weather wouldn’t get the best of me. 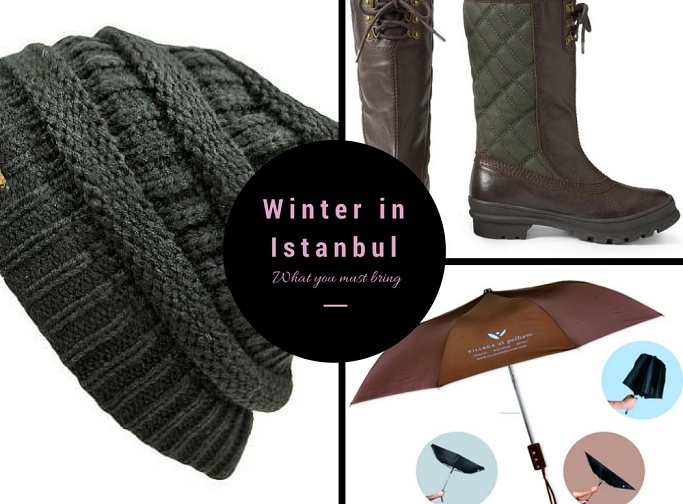 Though to save you all the trouble, to survive winter in Istanbul, besides a good coat you need three things: a warm wool hat, a wind-resistant umbrella and waterproof shoes with good grip to survive slippery steep hills. We had an afternoon to evening flight on Turkish airlines which if you didn’t already know, was rated the best airline in Europe. 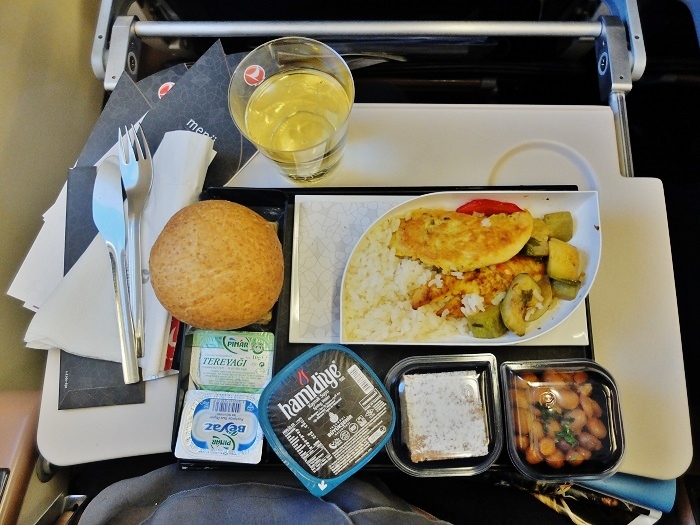 This might be due to the fact that they treat you like an actual human, as soon as you are seated you are handed a piece of Turkish delight and soon after takeoff, a menu of your meal. Which is actually good. Navigating the airport was at first a challenge, to be as expected. Yes you have to go through immigration but everything was quite easy and really not that crowded, of course we were visiting in off-season. (however it is worth noting that on our flight back, we had to pass everything through metal detectors before entering the airport) which is apparently common here. 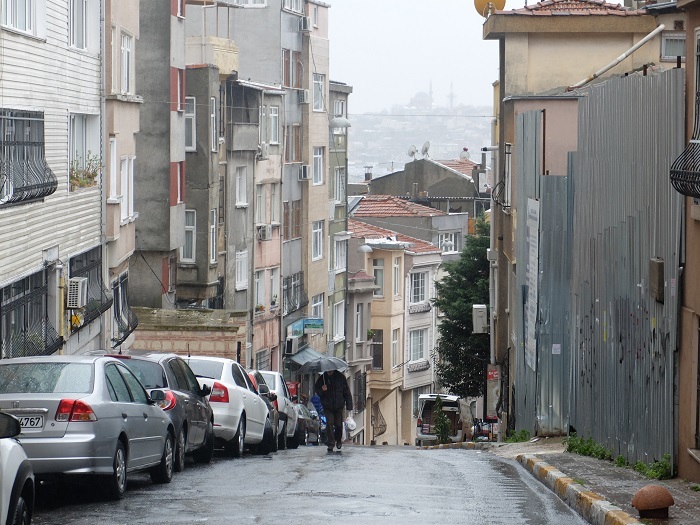 Istanbul doesn’t gently welcome you in, like our experience in Finland, it’s more like a giant push, but one you are more than happy to accept. We ‘splurged’ for a yellow cab, spending around 20 euros to the city center, our driver speeding through what seemed like an endless array of busy streets. Since we were staying in an apartment, our cab driver didn’t really know how to get there (which I had read wasn’t that abnormal), after the initial conversation winded down, I felt a little helpless that I couldn’t help more. Instead we did the thing you do when you don’t speak the local language, at all. Instead we tried typing our address in google maps and shyly handing the phone over to our stressed driver, but he was a man on a mission. I thought it was utterly charming that apartment buildings in Istanbul all have names, but that is a story for another day. Eventually we made him stop and we got out, recognizing that we were in the general neighborhood of our apartment and at this point just wanted to get out of the damn cab. Though in retrospect, I sort of wish I would have made him drive us directly in front of the building because we had to hike a crazy hill with our luggage and naturally it was raining. The adventure starts here. 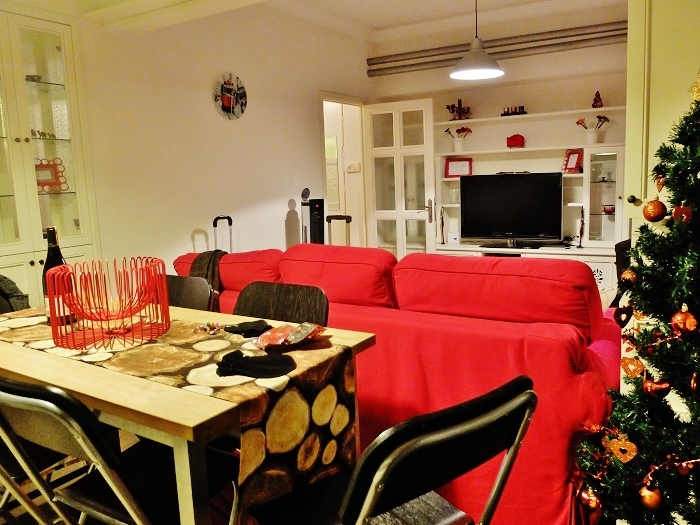 We eventually found our flipkey apartment, We weren’t sure what to expect but ended up being wowed by the charming little two-bedroom ground floor space. 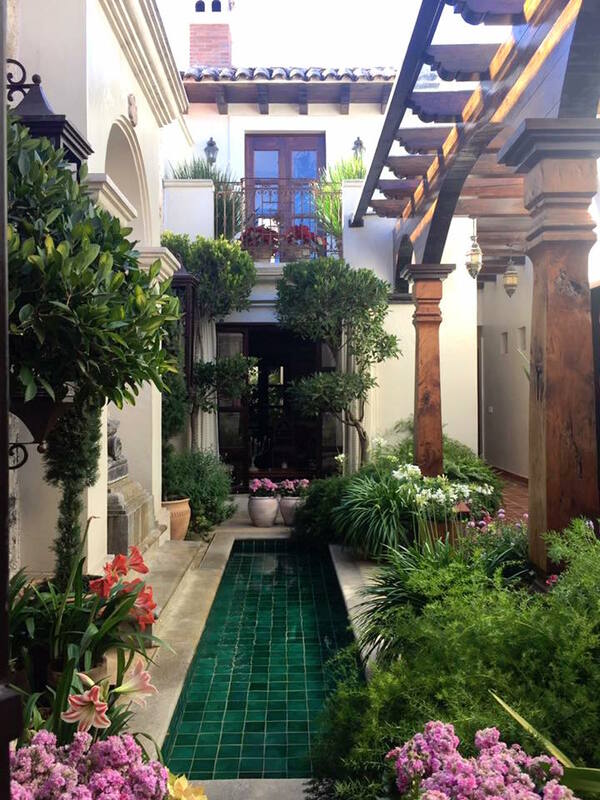 I’ve stayed in a fair share of Airbnb, flipkey type rentals in Europe and this had to have been the best. 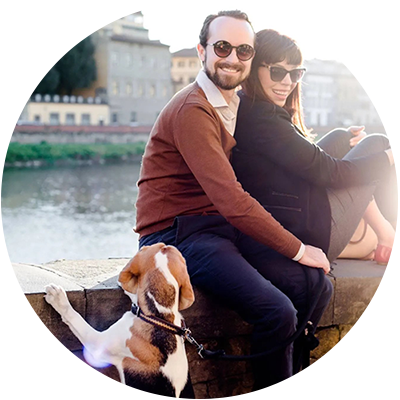 Everything was modern (heck we don’t even have a dryer or dishwasher in our home in Florence), clean with working WiFi and about a million channels, including ‘interesting’ infomercials from Russia and Iran that made us fall on the floor laugh. Our bed was actually comfortable, and that is a first, and the owner even left us wine and a small gift along with what was the really special prize, an Istanbulkart that we refilled and use to get around the city, quite literally the best thing he could have left. You need this card if you plan on staying a few days. As you do, we were in a hurry to explore the town since it was dinnertime and this girl has gotta eat. This time armed with my wind-resistant umbrella purchased in Helsinki (those Finns know what they’re doing) we stepped out of our Cihangir abode and into the busyness of Istanbul city streets. Simit sellers at every corner, crowds pushing their way past Taksim square, it might have been a Monday evening but this city was just getting started. The lights, the smells, the people, I admit that it was a little overwhelming at first. Our course it felt very different from our usual destinations in Western Europe, it’s pretty apparent once you hear the Muezzin’s call for prayer several times a day. But it also felt somewhat familiar, likely because the city has a cosmopolitan vibe intermingled with extreme contrasts. 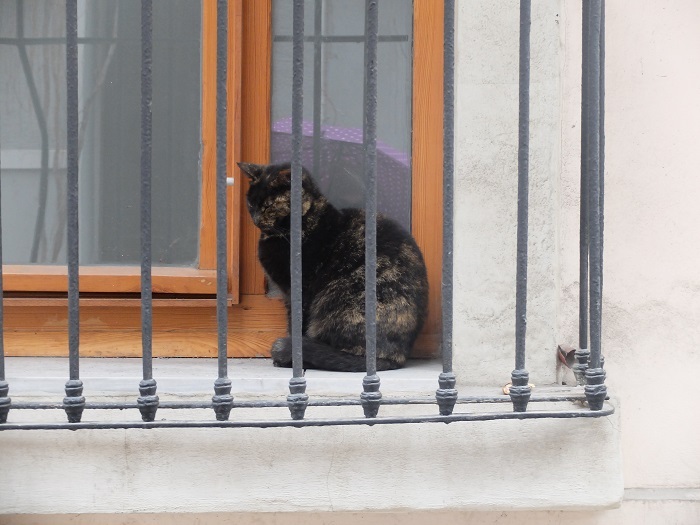 Cats are everywhere, on window sills, sleeping on chairs, eating food left on doorsteps left by nice homeowners – they are as much citizens as Istanbul as the people themselves. You see expensive cars and floor to ceiling fancy apartments not far from derelict buildings just a whisper from collapsing. Simply Fascinating. The next morning, we were headed for a tour in Istanbul with the guys at Istanbul Tour Studio, a recommendation I got from The Guide Istanbul (a bimonthly guide to the city). We were instantly immersed in what felt like an entirely different world than the one we left the night before. The air was still freezing, yes, with snow hitting out faces as we made our way through the windy roads of the city – but we weren’t alone and most of all we were happy. Sweet Mary and Jesus, Istanbul was alive, and I was in love. I have so much to write about this city, I am planning a series of posts to best describe how to visit this city. 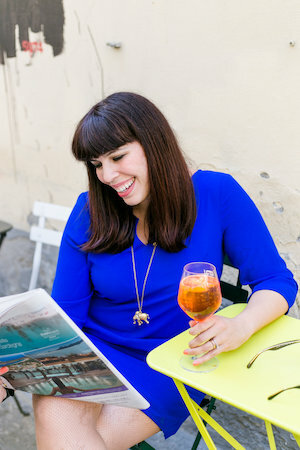 I plan on sharing tons of advice, some foodie fun and bombard you all with why you need to visit here, sooner rather than later. 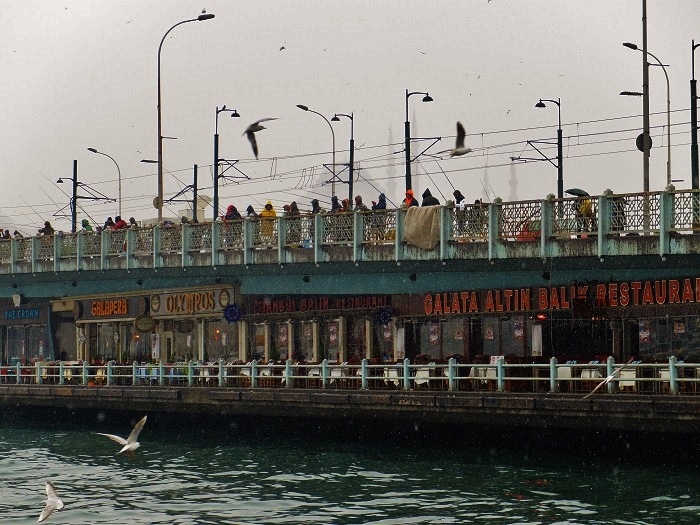 I loved this intro into your time in Istanbul…and I can’t wait to read more! To me, it is a city that is ‘other-worldly’, so mystical, ancient and modern all at the same time. So glad you will be sharing your thoughts on your time there. ‘Other worldly’ is correct, it’s a little crazy and hectic but it really weaves into your soul. I really loved it there from beginning to end which is sort of rare for a place. There is so much to write about, I need to do this a little bit at a time. Thank you so much for commenting Lisa! Loving this post!!! Can’t wait for the others!!!! 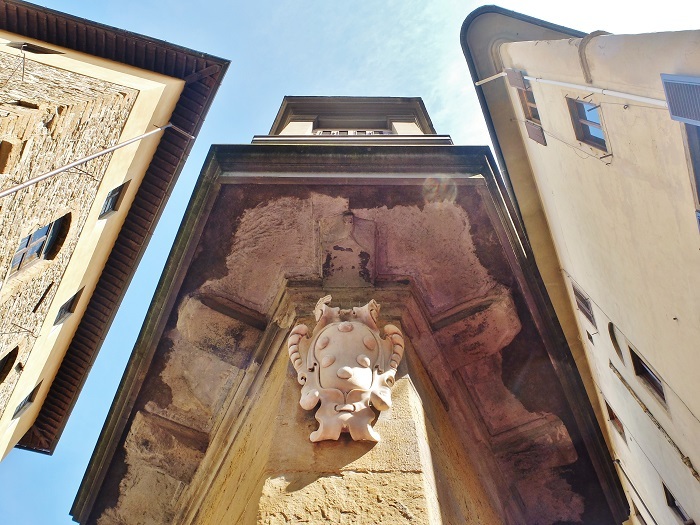 I’m planning to (re) visit Florence and visit Istambul this year, so I’m really enjoying your posts! Thank you so much! 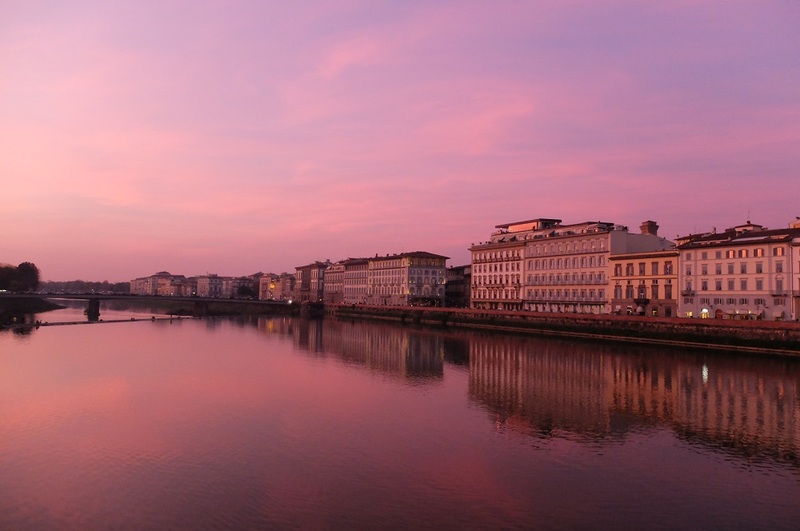 Florence will always be home but it also has the added advantage of being a wonderful base to explore Europe and beyond :). 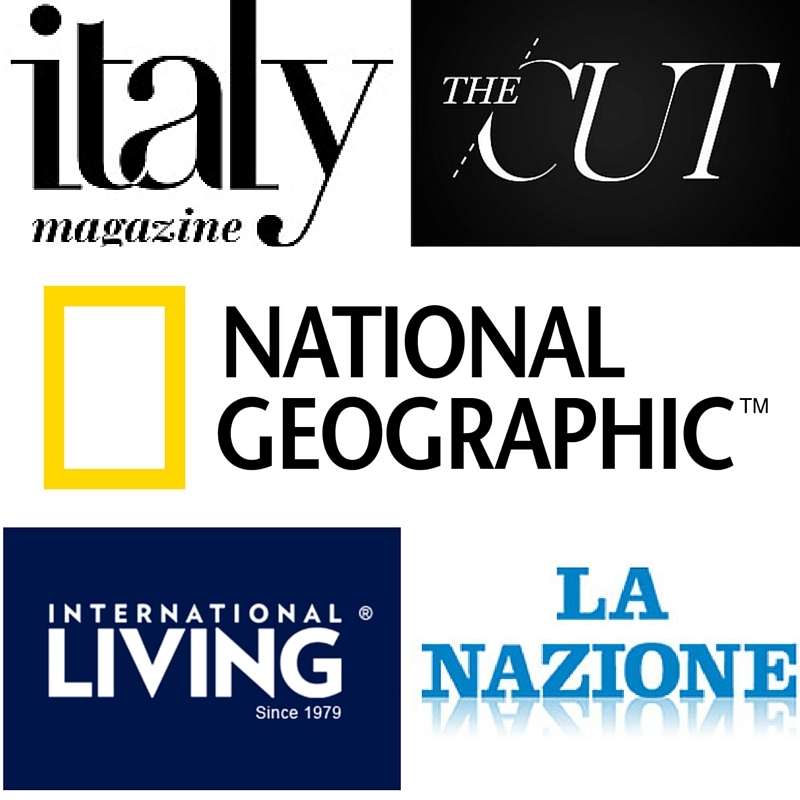 Feel free to ask for any advise regarding your visit to Florence! 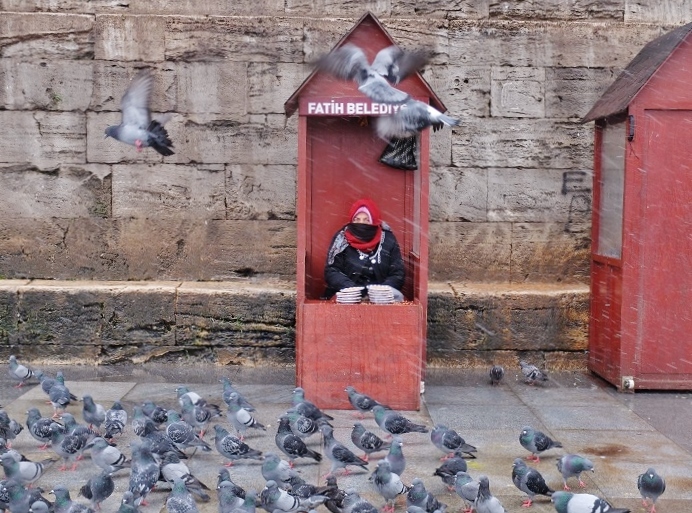 Love this, and can’t wait for your other Istanbul posts. That city’s been on my to-see list for quite a while now and I know this will be the year I finally make my way there! This is so helpful since I just booked my trip to Istanbul for Easter week, and I don’t really know what to expect. Looking forward to following your posts!